The Vice-President of Europa Nostra and President of Europa Nostra Deutschland Alexander Fürst zu Sayn-Wittgenstein-Sayn was honoured with the German Heritage Conservation and Protection Award 2018 (Deutscher Preis für Denkmalschutz), the highest award for cultural heritage achievements in Germany, which is conferred by the Presidency of the German Cultural Heritage Committee (DNK). 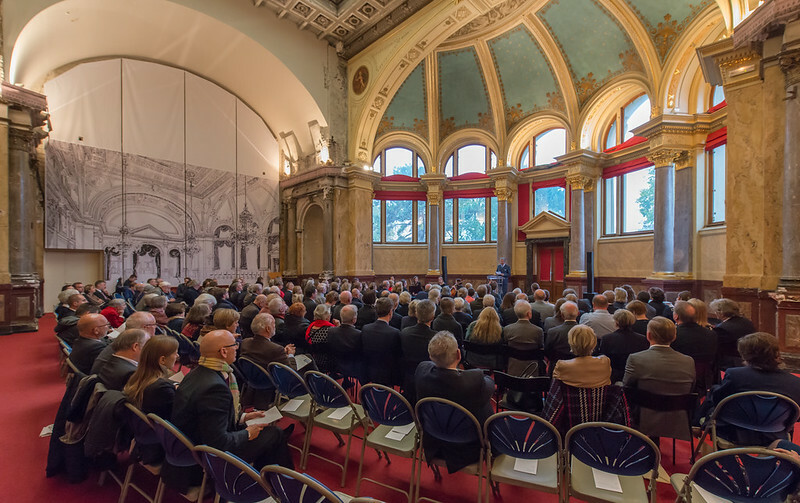 The awards ceremony took place on 29 October in the Palais du Rhin in Strasbourg, the symbolic European city located on the Franco-German border. 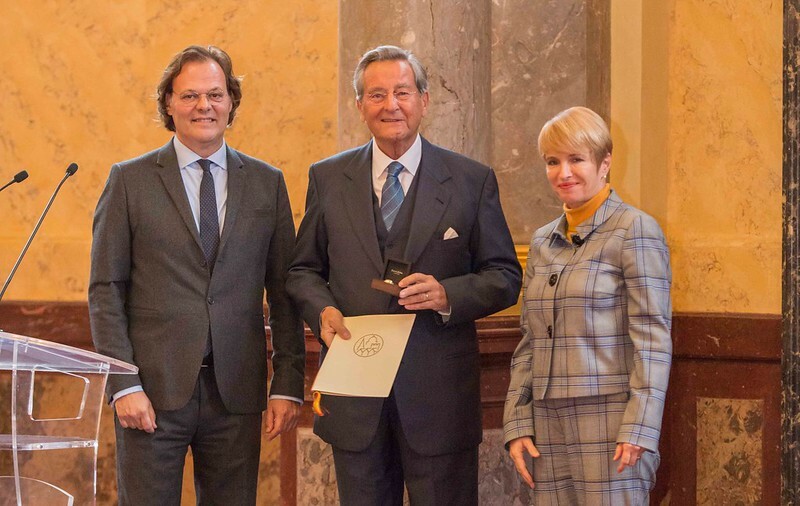 Europa Nostra’s Vice-President received the award in the category Karl-Friedrich-Schinkel-Ring – named after the famous German architect of the 19th century who is considered the founding father of state monument preservation in Germany. Awards in this category had not been conferred for the past four years. In front of a German and European audience, he had the honour of delivering the acceptance speech on behalf of all 12 laureates (read the German original or a courtesy translation in English). “We must recognise the importance of our common cultural heritage for the cohesion and integration of Europe. Like a tapestry, rich in colours and patterns, Europe’s cultural diversity turns into a magnificent integrated image that creates a shared European identity”, stated Europa Nostra’s Vice-President. He particularly paid tribute to the joint efforts of the German Cultural Heritage Committee (DNK) and Europa Nostra in staging the first ever European Cultural Heritage Summit in June 2018 in Berlin under the symbolic motto “Sharing Heritage – Sharing Values”, which mobilised a wide range of heritage stakeholders, citizens and decision-makers and culminated in the presentation of the Berlin Call to Action “Cultural Heritage for the Future of Europe”. Speaking also on behalf of other award laureates, Alexander Fürst zu Sayn-Wittgenstein-Sayn expressed gratitude for these prestigious awards which give public recognition to manifold contributions to the protection of our cultural heritage. “For us and for all monument conservators it should be an incentive to carry forward this enthusiasm into the next year and into the future,” he stressed in his speech. Fürst zu Sayn-Wittgenstein-Sayn has been Vice-President of Europa Nostra since 1995 and became President of its German country representation in 2004. 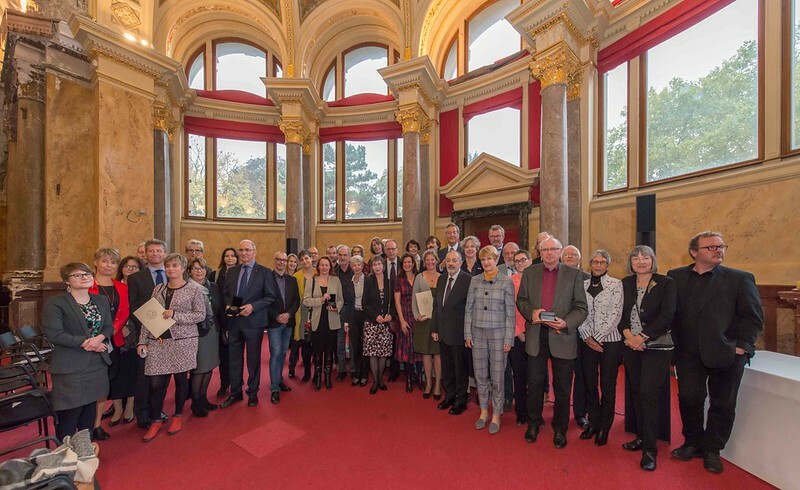 Europa Nostra honoured and thanked him for his commitment and dedication to the organisation with a Medal of Honour awarded to him at the European Heritage Awards Ceremony 2018 in Berlin. Organised by the German Cultural Heritage Committee (DNK), the German Heritage Conservation and Protection Award is the highest in its field in Germany and is given annually in recognition of outstanding achievements and commitment to preserving and protecting built and archaeological heritage (read the press release in German). It is awarded in three categories: the Karl-Friedrich-Schinkel-Ring, the “Silberne Halbkugel”, a prize for journalists and an internet prize, which awards outstanding contributions in this field that are exclusively published online. The laureates of this year’s awards were announced last July.